paranormal experiences challenge scientific theories. In the Vaisnava tradition of India, God is defined as Brahman, Paramatma, and Bhagavan: the unlimited light of pure being underlying nature, the Lord within the heart, and the supreme transcendental Person. In Christian tradition, a similar idea can be found in the Trinity of Father, Son, and Holy Spirit. In both traditions the emphasis is on God's personal nature. As a transcendental person, God controls nature on a grand scale, He acts within history, and He deals with people on an individual level. This concept of God has been central to the lives of large numbers of people over many centuries, but at the present time it is not intellectually respectable. To be sure, it is often said that there is no conflict between science and religion. But this statement is true only if one makes a drastic redefinition of traditional concepts of God. Shapley: And in that famous address in 1951 the Pope went along with evolution. Huxley: He still said there must be a God who is somehow responsible in some way, didn't he? Shapley: Well, he didn't deny God, no. And you don't either. Shapley: Oh, no. If you defined God, you wouldn't. Huxley: Now don't go into semantics. Shapley: You're not an atheist, Julian; you're an agnostic. Huxley: I am an atheist, in the only correct sense, that I don't believe in a supernatural being who influences natural events. The success of modern science depends on our ability to create mechanistic models of natural phenomena in which all natural causes are represented by formulas and numbers. Since God cannot be reduced to formulas, God has to be decoupled from nature. At most, God can be admitted as the ultimate cause of the laws used in scientific models. As physicist Steven Weinberg put it, "The only way that any sort of science can proceed is to assume that there is no divine intervention and see how far one can get with this assumption." The elimination of God from nature begins with the rejection of stories that seem obviously contrary to natural laws stories about the lifting of mountains (Krsna) or the parting of seas (Jehovah). At first, this elimination can be seen as a rational reform in which the dross of superstition is removed and the way is paved for a deeper spiritual understanding. An attractive approach is to make a distinction between the rational and the transcendental. One treats the rational domain according to the methods and findings of science, while positing a transcendental domain lying beyond reason and accessible only to higher, spiritual states of consciousness. The transcendental domain can be approached only through faith, acceptance of revealed knowledge, and submissive obedience to higher spiritual authority. This approach to religion and science can be a useful rhetorical strategy, and it may be satisfactory for a rare person who truly lives on a high transcendental platform and directly knows what is transcendental. But for others, it suffers from the difficulty that it is hard to make a clear distinction between the rational and transcendental domains. How do we draw the line? If we hold the line at a particular part of the intellectual landscape, we will come in conflict with science, which will insist on extending its established theoretical picture. If we let the line be completely flexible, we will find that nothing relevant to the world of our experience remains on the transcendental side. This lends weight to the perspective that the transcendental is strictly anirvacaniyam, having no impact whatsoever on our words or our actions. But this is a far cry from traditional conceptions of God as a supreme personality (with both describable and indescribable aspects) who takes an interest in individual lives. On surveying the issues involving science and religion, my overwhelming impression is that there is much that we do not know. I therefore think that it is premature to try to draw a clear-cut line between science and religion. Rather, we should realize that there is a broad gray area in which much further exploration needs to be done. In the theoretical domains claimed by science, many fundamental questions remain. In the empirical study of nature, and especially in the study of human life, much data begs for an explanation and has not been assimilated into the scientific world view. In the field of religion there are likewise many unanswered questions. I will briefly discuss some important issues involving science and religion, and point out questions that need to be addressed. Sir Isaac Newton is a good starting point. Newton's great contribution was to introduce a system of mathematical laws that could be verified with quantitative precision. In so doing, he created a domain of natural law that inevitably came into territorial conflict with the domain of divine action. Newton himself believed that God is active in this world, and he was criticized by the philosopher Wilhelm Leibniz for his proposal that God makes periodic adjustments in the motion of matter. But the basic thrust of Newton's system of physics was to limit God's action to the enforcement of unchanging laws imposed at the time of creation. The mathematical form of Newton's laws made this nearly unavoidable. A set of deterministic differential equations define the motion of material particles. Even if something is thought to exist outside the collection of material particles, there appears to be no way for it to influence their motion, and Newton's famous divine adjustments therefore appear awkward and unnatural. But the key word here is "appears." In recent years it has been discovered that in many situations, Newton's equations give rise to a phenomenon known as deterministic chaos. This means that arbitrarily small changes in the motion of Newtonian particles are quickly amplified to produce large changes. It doesn't matter how small the changes are. If you make the changes a millionth as large or a million-millionth as large, they quickly amplify to produce big effects. It has also been discovered that deterministic chaos gives engineers a practical opportunity to systematically control chaotic systems by making tiny adjustments. The implication is that God could readily control nature by introducing adjustments far smaller than anything we could ever hope to measure. Could this be a way for God to exercise divine control over a semiautonomous natural world? Early in the twentieth century, Albert Einstein introduced fundamental changes into classical, Newtonian physics with his celebrated special theory of relativity. This theory yields the famous formula E=mc2, which was demonstrated by the release of atomic energy. But apart from this, relativity theory has few practical consequences, since it predicts measurable effects differing from classical physics only for objects with velocities approaching the speed of light. But Einstein's theory has profound philosophical implications. In the equations called Lorentz transformations, it allows time to be mapped into space and space to be mapped into time. This means that time and space must have the same geometric nature. Time, including past, present, and future, must exist as an extended continuum, just as space does. All events have their place in this continuum, and the passage of time is an illusion. 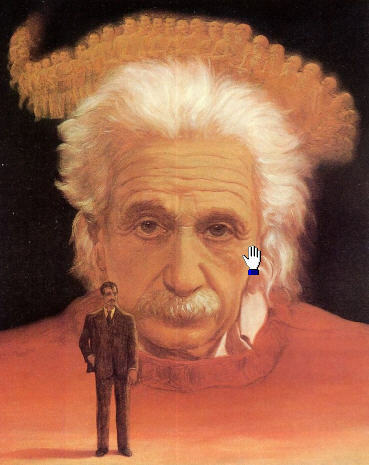 Einstein went so far as to use this idea to console a widow. When his friend Besso died, Einstein wrote to Besso's wife, saying, "Michael has preceded me a little in leaving this strange world. This is not important. For us who are convinced physicists, the distinction between past, present, and future is only an illusion, however persistent." This idea has serious consequences for the nature of consciousness. It seems, at first glance, to negate the idea of free will and to imply that everything is determined. It also raises the question of how even the illusion of time's passage arises in a world in which time is a static geometric coordinate. What is it that experiences the illusion? If all events are just blips in an existing continuum, what room is there for an experiencer who moves through events in temporal order? If these fundamental questions can be resolved, the further question arises whether or not an existing past and future can somehow be perceived by an experiencer not strictly bound to a shifting present moment. This brings to mind Christian ideas of prophecy and the Puranic idea of tri-kala-jna, or knowledge of past, present, and future. Like Newton's theory, Einstein's theory at first seems to restrict the scope of religion. But on further thought it shows potential for giving us deeper insights into traditional theological ideas. Quantum physics constitutes a great departure from the deterministic theories of classical physics and relativity. As such, it has sometimes been heralded as the gateway to a new synthesis of science and religion that will reintroduce spirit and consciousness into the world of matter. But this turns out to be easier said than done. The second process of change is the famous quantum jump, sometimes called "collapse of the wave function." This happens purely by causeless chance. The system suddenly changes freely to a new state, and the only restriction on the change is that it must satisfy statistics encoded into the old state of the system. Since chance events are not determined, they might seem to provide a loophole for the control of matter by spirit. Unfortunately, this idea runs into a conflict with statistical laws. For example, consider a series of clicks in a Geiger-counter tube triggered by the decay of radioactive atoms. According to quantum mechanics, these clicks occur at random. So could they express an intelligent message projected into matter by spirit? If the message contained more than one or two words, it would strongly violate the laws of probability theory. If we try to reconcile spiritual and physical causation in this way, we are forced to modify the accepted meaning of chance in quantum mechanics, and this entails a fundamental modification of quantum mechanics itself. Henry Stapp is one physicist who has suggested that quantum mechanical randomness might be different from what we normally think of as chance. To Stapp, the idea that quantum choices come randomly out of nowhere should be seen as an "admission of contemporary ignorance, not as a satisfactory final word." Stapp seeks a possibility that agrees with all scientific data but lies somewhere between "pure chance" and "pure determinism." He concludes: "I think such a possibility is open, but to give this logical possibility a nonspeculative foundation will require enlarging the boundaries of scientific knowledge." Although Stapp is primarily concerned with individual consciousness, scientists such as William Pollard and Donald Mackay have seen chance as a loophole for introducing divine control into the world of physics. Pollard's idea was summed up neatly by the physicist-priest John Polkinghorne: "Will not God's power to act as the cause of uncaused quantum events (always cleverly respecting the statistical regularities which are reflections of his faithfulness) give him a chance to play a manipulative role in a scientifically regular world?" 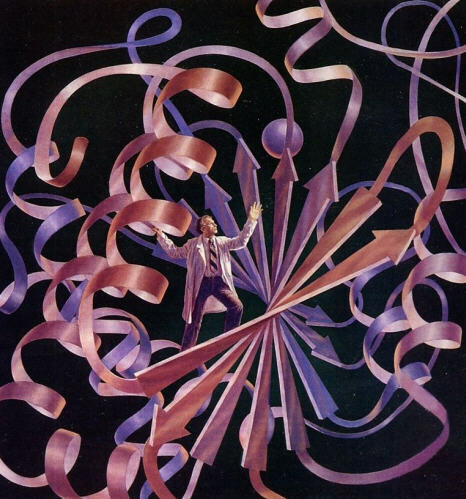 Polkinghorne dismissed this idea as contrived, saying that "Houdini-like wrigglings" are required to insert control signals from mind or God into the straitjacket of physical processes. The lesson of quantum mechanics seems to be that we must either discard the idea that spirit influences matter or be prepared to develop a new physics that includes some kind of spirit-matter interface. The latter program is far from easy to carry out, but we may find many rewarding insights if we make the attempt. In the scientific world, the theories of physics provide the basis for the life sciences and for our understanding of mind and consciousness. Thus Nobel laureate Francis Crick has recently announced what he calls the Astonishing Hypothesis. He claims, "'You,' your joys and your sorrows, your memories and your ambitions, your sense of personal identity and free will, are in fact no more than the behavior of a vast assembly of nerve cells and their associated molecules." In one sense, this should be called the Standard Hypothesis. With a few exceptions, such as Sir John Eccles, neuroscientists take it for granted that mind and consciousness can be fully understood in terms of physical brain processes. Yet contemporary brain research does have an astonishing feature. Thus far, no one has been able to even suggest an intelligible connection between physio-chemical processes and the qualities of perception (called "qualia") that make up conscious experience. Thus Crick admits, "I have said almost nothing about qualia the redness of red except to brush it to one side and hope for the best." In his book Consciousness Explained, the philosopher Daniel Dennett deals with qualia by denying their existence. He gives many examples suggesting that consciousness is an illusion, and that what really happens in the brain is quite different from what we imagine as our conscious experience. But we may ask: How can illusion (false awareness) arise without the prior existence of awareness? Could it be that there is an atma, or soul, linked with the bodily machine, and could it be that qualia are functions of this nonphysical entity? In the Bhagavad-gita, Krsna refers to the body as a machine occupied by the soul and guided by the Lord in the heart. In contrast, both modern science and some schools of Christian thought have embraced the idea of the living being as a pure machine. 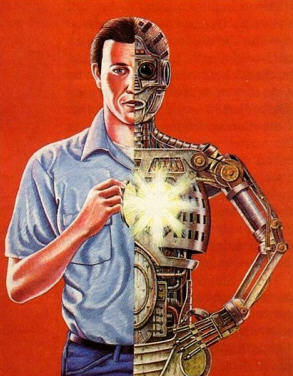 Physicists such as John Polkinghorne propose that the self survives death through a process of physical reconstruction. Thus Polkinghorne says of the atoms that make up our bodies: "It is the pattern that they form which constitutes the physical expression of our continuing personality. There seems to be no difficulty in conceiving of that pattern, dissolved at death, being recreated in another environment in an act of resurrection." By implicitly accepting Crick's astonishing hypothesis, Polkinghorne is able to suggest a scientific model of the Christian doctrine of resurrection. But if conscious self identity is distinct from the brain, as I proposed above, then survival after death must involve more than just the pattern of atoms in the body. The Bhagavad-gita, of course, presents the idea of transmigration, in which the personality is carried by the soul and subtle mind from one body to another. It is remarkable that there is a great deal of empirical evidence suggesting that transmigration may actually take place. The psychiatrist Ian Stevenson has studied thousands of cases in which a young child seems to spontaneously remember a previous life, without having had the opportunity to learn about that life by ordinary means of communication. Stevenson has shown that skills, interests, phobias, and other personality traits tend to show continuity from one life to another. He has also studied cases in which children have birthmarks corresponding to wounds causing death in their previous life. Stevenson's work has been replicated by other researchers. It does appear to place transmigration in the arena of phenomena that might prove scientifically verifiable. Of course, this gives rise to the question of how transmigration works and what it has to do with the known laws of physics. The question also arises of whether "past life memories" of the kind studied by Stevenson may be an underlying cause for the acceptance of transmigration in various religious traditions. NDEs provide another example of empirical evidence pertaining to the possible survival of the conscious self after death. 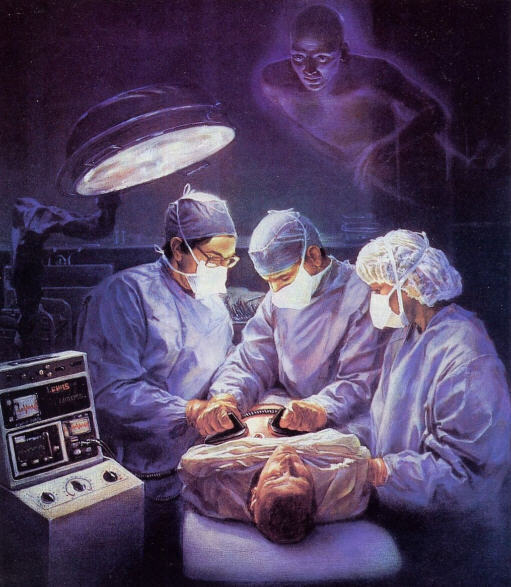 NDEs are generally reported in connection with life-threatening physical traumas such as heart attacks, but they also resemble the spontaneous so-called mystical visions of people in a normal state of health. In addition, shamans, yogis, and mystics in many traditions have sought to deliberately separate the perceiving self from the body and travel in an out-of-body state. Typical NDEs involve an autoscopic and a transcendental phase. In the autoscopic phase, the subject sees his or her body from outside the body. 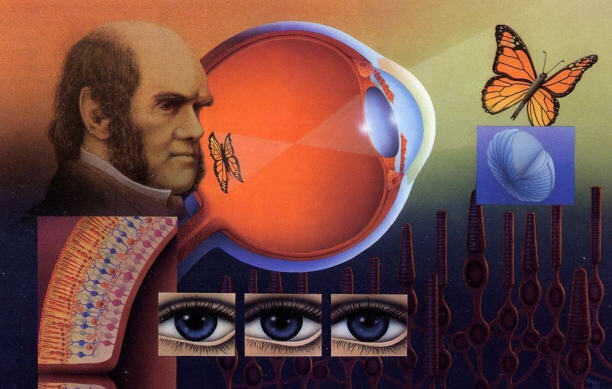 In this phase, the person may remember seeing things that should have been invisible to the body's physical eyes, and this may be interpreted as evidence of a non-ordinary state of consciousness. In the transcendental phase, the subject often reports entering into another world, typically characterized by brilliant light, beautiful scenery, and a sense of universal knowledge. The subject may encounter other persons, ranging from effulgent religious figures to departed relatives. People reporting NDEs often seem transformed in a positive spiritual way by the experience. Clearly such experiences are highly relevant to our understanding of religion. On the one hand, NDEs may seem to verify religious traditions. On the other, it can be argued that religious traditions have been strongly influenced by this kind of experience, whatever its underlying cause may be. In the nineteenth century, the psychologist William James made a study of religious experience that led him to the conviction that our immediate world of sensations and physical laws is part of a larger reality. He proposed that "the world of our present consciousness is only one out of many worlds of consciousness that exist, and that these other worlds must contain experiences which have a meaning for our life also; and that although in the main their experiences and those of this world keep discrete, yet the two become continuous at certain points, and higher energies filter in." The NDE evidence shows that we have much to learn about such possible contacts with other worlds. For example, Satwant Pasricha and Ian Stevenson have published a report of sixteen near-death accounts from India. In these cases, the subject typically reports being taken away from his sick-bed by horrible-looking persons who convey him into the presence of a judge. The judge then reprimands the subject's captors, saying, "Why did you bring the wrong man? Take him back!" The person is then returned to his home, where he wakes up bearing physical marks corresponding to his otherworldly experience. These Indian cases seem to follow a different pattern from NDEs reported in the West, and one might be tempted to conclude that all such experiences are culturally conditioned fantasies. Pasricha and Stevenson note that their Indian subjects naturally identify their captors with the Yamadutas of classical Hinduism. But they also point out that the experiences may be real, and that people in different societies may be subject to different kinds of experience on the boundary between life and death. Religious traditions in both India and the West are filled with stories of extraordinary encounters between humans and various kinds of beings, ranging from angels, demigods, and avatars to demons and evil spirits. Today, of course, it is customary to consign these stories to the mythological side of religion, since we know that such beings do not exist. We tend to assume, on the most charitable level, that such stories may have been created for the sake of conveying moral and spiritual lessons to a community of naive believers with an appetite for tall tales. But the concept of God as a historical actor in Judeo-Christian tradition (Jehovah) and in Vaisnava tradition (Krsna) depends on the truth of extraordinary stories. If we relegate all of these stories to fantasy and myth, then the role of God in these traditions is drastically changed. But how do we know that extraordinary events and beings are unreal? Most of us go through life without experiencing such things, and it is natural to extrapolate from our own experience when evaluating events lying outside that experience. Then again, the known laws of physics seem to rule out many reported extraordinary events. If we look at the available empirical evidence, however, we find many extraordinary events being reported today by ordinary people. Consider, for example, the notorious UFO abductions, in which people claim to be carried off by odd-looking humanoid beings who subject them to apparent medical procedures. Since thousands of people report these experiences, they constitute an important social phenomenon that demands an explanation. The first explanation that comes to mind is that these people are crazy. But several psychological studies have indicated that mental imbalance does not explain the abduction phenomenon. For example, psychologist Nicholas Spanos and his colleagues at Carleton University in Canada published a study in The Journal of Abnormal Psychology showing that UFO experiencers' scores on tests of psychological health were as high as or higher than those of members of control groups. John Mack, M.D., a professor of psychiatry at the Harvard Medical School, has published a study of alien abduction encounters in which he argues that these experiences are in some sense real. He remarks: "To acknowledge that the universe (or universes) contains beings that enter our world and effect us as powerfully as the alien entities seem able to do would require an expansion of our notions of reality that all too radically undermines Western scientific and philosophical ideology." Mack heads an academic research group called Program for Extraordinary Experience Research that has pursued discussions of alien abductions in peer-reviewed psychological journals such as Psychological Inquiry. The alien abduction phenomenon is clearly difficult to explain, whatever its true nature may be. It is also relevant to the understanding of religion. If we carefully compare contemporary UFO experiences with the mystical experiences reported in various religious traditions, we find a continuum characterized by both common traits and significant differences. The similarities include the reported tendency of alien beings to communicate telepathically, to move by levitation, to pass through solid matter, and to appear and disappear mysteriously, often accompanied by inexplicable aureoles of light. These and other reported powers correspond to the mystic siddhis of the Puranas and to the charisms of Roman Catholic tradition. It seems that extraordinary encounters tend to follow lawful patterns that show up repeatedly all over the world, even though they violate the norms of ordinary experience. This suggests that common causal factors lie behind these experiences. The differences mainly concern the identity of the reported beings. UFO aliens per se play no part in major religious traditions, though they may show some links with classical Christian demonology. The angels, devas, and saintly beings of one tradition are different from those of another, although sometimes there is apparent overlap. This gives rise to many questions. Are extraordinary experiences simply generated within the mind according to cultural conditioning? Or are systems of belief within different cultures conditioned by an agency or agencies responsible for extraordinary experiences? One possible answer is that there is a divine control system within the universe that maintains administrative divisions for different religions, while tolerating partly independent groups that pursue their own agendas. The angels and demons of traditional Christianity immediately come to mind. The Bhagavata Purana (Srimad-Bhagavatam 11.14.5-7) explicitly refers to a system that provides for many religions. It states: "All of the many universal species, along with their respective leaders, appeared with different natures and desires generated from the three modes of material nature. Therefore, because of the different characteristics of the living entities within the universe, there are a great many Vedic rituals, mantras, and rewards." This statement gives a very general meaning to the word "Vedic," which here seems to encompass all religions in the universe. If the idea of a universal system of beings seems too extravagant, we can consider the possibility of explaining different extraordinary experiences as internally generated hallucinations. But what is a hallucination? The psychologist Raymond Moody, M.D., published a study in which psychologically normal people sought visions of departed relatives by gazing into a mirror under carefully controlled circumstances. The project was inspired by extensive traditions about visions induced by gazing into crystals, mirrors, water, and other reflective surfaces. Moody reported that in some cases people had extremely vivid visions in which a person generally a deceased relative seemed to step out of the mirror in solid, 3D form and engage in an extended conversation. Hallucinations? Perhaps, but we have much to learn about what hallucinations really are and what causes them. The Vaisnavas' story of Duhkhi Krsnadasa illustrates how visions can contribute to a religious tradition. 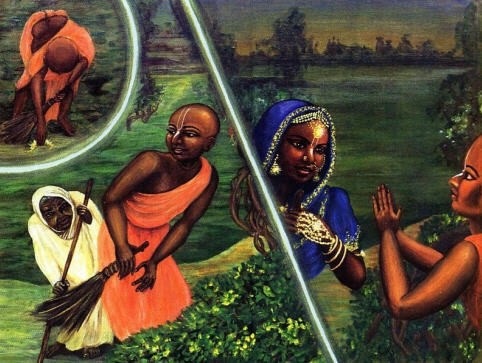 Very briefly, the story recounts how Duhkhi Krsnadasa found a golden anklet while sweeping a sacred area in Vrndavana, Krsna's traditional birthplace in India. He hid the anklet, but was later met by an old woman who asked for it, claiming that it had been lost by her daughter. After some conversation, the old woman revealed her beautiful form as Lalita, one of the gopis serving Krsna's eternal consort, Radharani. After Duhkhi Krsnadasa gave her the anklet, which turned out to be Radharani's, Lalita mysteriously disappeared. Later, Duhkhi Krsnadasa's guru received this story with skepticism, and in the course of trying to convince him, Duhkhi Krsnadasa again met Lalita. This time, however, he met her by entering into her world through meditation. Stories of this kind play an important role in many religious traditions. From a scientific perspective, we have a long way to go before we can begin to understand them. We now turn from the discussion of present-day phenomena to the historical sciences, such as geology and evolutionary biology. It is here that some of the greatest conflicts have taken place between science and religion. In the early nineteenth century, the developing science of geology began to reveal a very strange picture of the history of life on the earth. In its current form, the story begins with the formation of the earth about 4.5 billion years ago. After less than a billion years, life appeared in the form of bacteria and algae. This state of affairs persisted until about 500 to 600 million years ago, with the appearance of peculiar marine life forms, such as the Ediacara fauna and the creatures of the Burgess Shale. A wide variety of more familiar marine creatures appeared in the subsequent Cambrian period, and life began to seriously invade the land in the Devonian, about 400 million years ago. There followed the age of Carboniferous coal swamps, the age of early reptiles, and then some 150 million years of dinosaurs. After the dinosaurs mysteriously died out, the age of mammals prevailed for some 65 million years up to the present. Humans of modern form appeared at the very end of this period, no more than about 100,000 years ago. This story does not explicitly appear in the sacred books of any religion, as far as I am aware. Some Christian creationists deny it altogether and advocate a young earth, based on Mosaic chronology, which dates the creation of the earth to about 6,000 to 10,000 years ago. Other creationists prefer to reconcile the Bible with geology by interpreting the days of creation in Genesis as long ages. And some propose the existence of races of humans or semi-humans that preceded the recent appearance of Adam and Eve. In Hinduism, the immensity of geo-logical time does not pose a problem. Hindu chronology, as defined in the Puranas, is based on several major time intervals similar to those of the geologists. These are the divya yuga of 4,320,000 years, the manvantara of about 307 million years, and the kalpa of 4,320,000,000 years. Astronomer Carl Sagan remarked, "The Hindu religion is the only one of the world's great faiths . . . in which the time scales correspond, no doubt by accident, to those of modern scientific cosmology." But whether this similarity is accidental or not, the Hindu account of what happened in the past is quite different from the geological story. It refers almost exclusively to the activities of superhuman beings who themselves live for millions or hundreds of millions of years. The Puranic stories hardly seem to refer to the earth as we know it at all, and it may well be that they were intended to refer to a higher, celestial realm. Scientists interpret the fossil record as the history of the gradual development of life according to the neo-Darwinian theory of evolution. I will refer to this briefly as Darwin's theory, but it was actually developed after the second World War as a synthesis of Mendelian genetics and Darwin's original ideas. Darwin's theory is based entirely on the laws of physics and blind chance. In the words of Darwinian theorist Richard Dawkins, it attributes the origin of living species to a "blind watchmaker," completely devoid of intelligence, foresight, or purpose. For this reason, it has been strongly rejected by many conservative Christians, who take it that life was created by Divine Providence. But other Christian groups, such as the Roman Catholics and the liberal Protestants, profess to find no difficulty in seeing Darwinian evolution as God's method of creation. Some say that God is a strict Darwinian who simply stood by transcendentally and let evolution produce worshipers in the fullness of time. Others compromise by proposing guided evolution, in which God gently nudges the Darwinian process in the desired direction. This, of course, is not accepted by mainstream science. In principle, there is no reason why Darwinian evolution could not be God's method of creating species. In practice, however, the theory of evolution itself throws up obstacles against this. Among all of today's scientific against this. Among all of today's scientific theories, the neo-Darwinian theory of evolution is perhaps the easiest to criticize from a theoretical scientific point of view. From its very inception, Darwin's theory has not been able to explain in detail how complex organs such as brains or eyes come into being. The general idea is that organs develop by a series of tiny steps. For example, the eye is said to begin as a light-sensitive spot. The spot turns into a pit and thus develops directional sensitivity through shadowing. The pit closes over to form a pinhole camera, and then translucent skin forms a crude lens that collects and focuses light. Gradually, features and improvements are added, until we have the eye of an eagle. The problem is that this is simply a "just so" story that we are asked to accept on faith. It cannot be verified as we verify Newton's theory by calculating a planetary orbit and then observing that the planet actually follows the orbit. The eye is simply too complex, and the more we study it, the more complex we find it to be. With the recent development of biochemistry, the task of explaining the origin of complex organs and functions has become even more daunting. In Darwin's day, the living cell seemed to be a simple bag of chemicals. Now it is seen to be a high-precision molecular machine far more complex than our most advanced computers. The biochemist Michael Behe (who is not a creationist) has published a book arguing that the findings of biochemistry are extremely difficult to explain by Darwin's theory. He points out that even though scientists have taken an interest in the origin of bio-molecular systems, nothing has been published in the scientific literature that really comes to grips with how evolution is supposed to work on the molecular level. This absence of published work indicates an absence of scientific ideas about molecular evolution. Of course, one can argue that vague evolutionary stories should be accepted if they cannot be decisively disproven. Darwinian evolution can be shown to work in many simple cases. It is consistent with the solidly established theories of physics, and it saves these theories from the onslaught of supernatural doctrines of creation. The crux of the matter is this: Does everything in nature work strictly according to impersonal mathematical laws, or is there a spirit-matter interface? If there is, then the drawbacks of Darwinian theory may eventually be overcome by reintroducing purpose and intelligent design into nature. Although traditions of personal theism are ruled out by the spirit of modern science, they are not refuted decisively by the still-evolving theories of physics. Indeed, even some of the extraordinary phenomena connected with theistic teachings may eventually find confirmation as physical and biological sciences come to grips with perplexing forms of human experience. This may provide the key to understanding how matter interacts with consciousness. These developments may take a great deal of time. At present, our ignorance is overwhelming, but this is a hopeful sign, since the expansion of knowledge also expands the boundary between the known and the unknown. The main danger we should avoid is to block the advancement of knowledge by prematurely imposing final conclusions, either from the side of scientific rationalism or from the side of religious dogmatism. Sadaputa Dasa (Richard L. Thompson) earned his Ph.D. in mathematics from Cornell University. He is the author of several books, of which Mysteries of the Sacred Universe is the most recent.